Do you have a lame grocery store? another variety that the same brand sells. Or tell me why no stores sell Matzo? 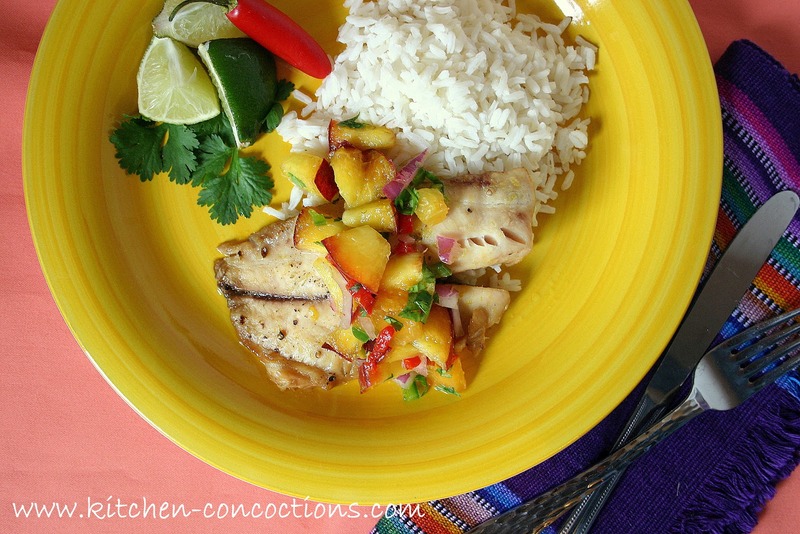 So imagine my frustration when I wanted to make this Halibut with Zesty Peach Salsa to only discover my ‘said’ grocery store did not have halibut! on that day that was not an option. without, since halibut could have put a heavy dent in my wallet. in preheated oven for 20 minutes of until it flakes easily with fork. 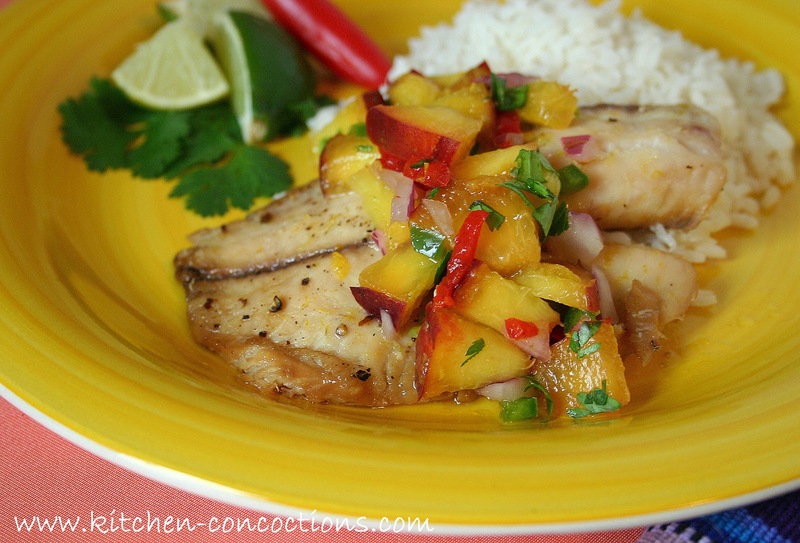 Once cooked, serve fish topped with peach salsa.